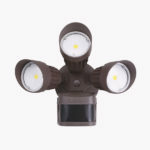 A great choice for outdoor walkways, garage areas, back door entrances and more, this double head security floor light is a bright energy saver. 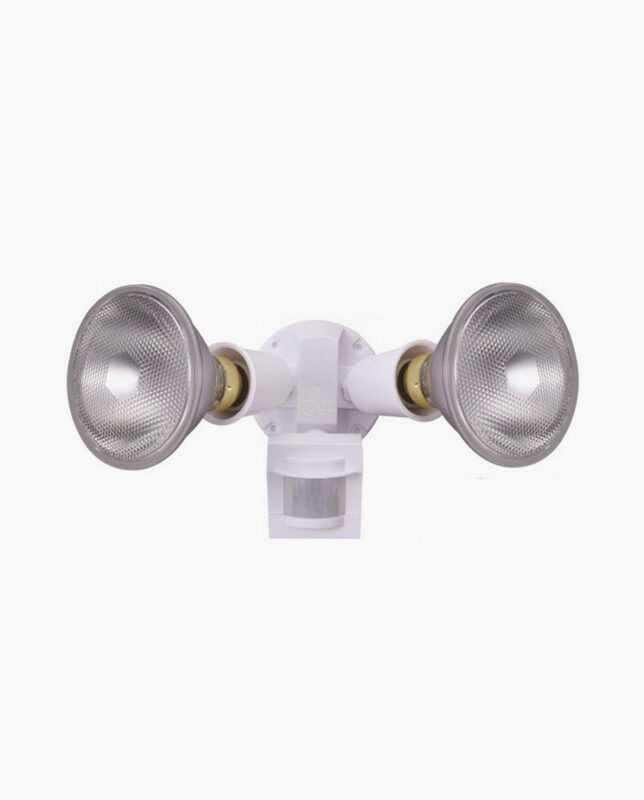 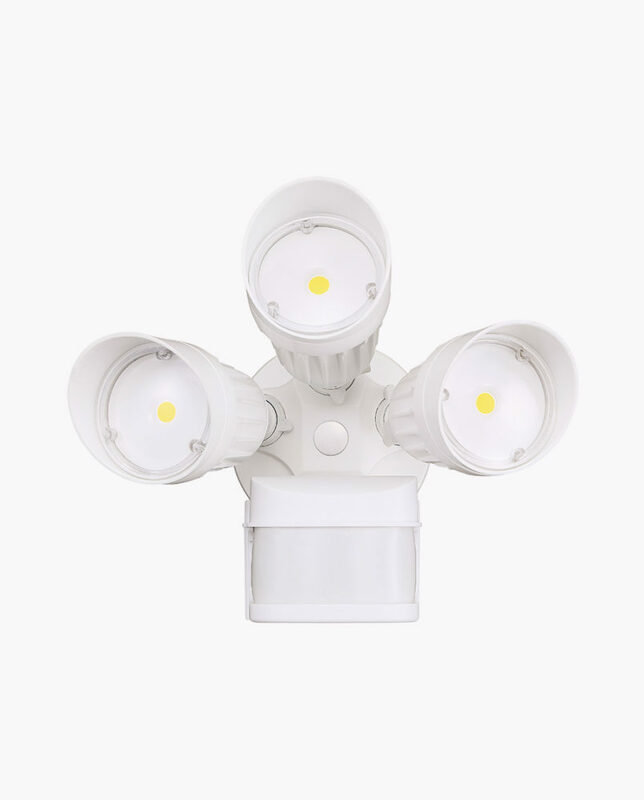 It comes with two built-in, high-power LED arrays that use a mere 10 watts of power each, yet have a light output comparable to a 120 watt bulb. 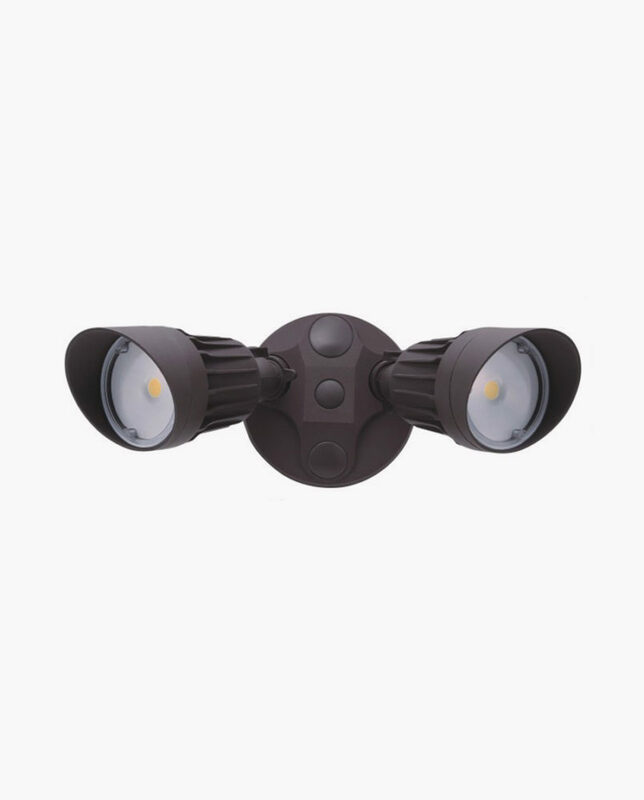 The design also has a 270° built-in motion detector with a 70-foot maximum range, and a photocell for dusk-to-dawn operation. 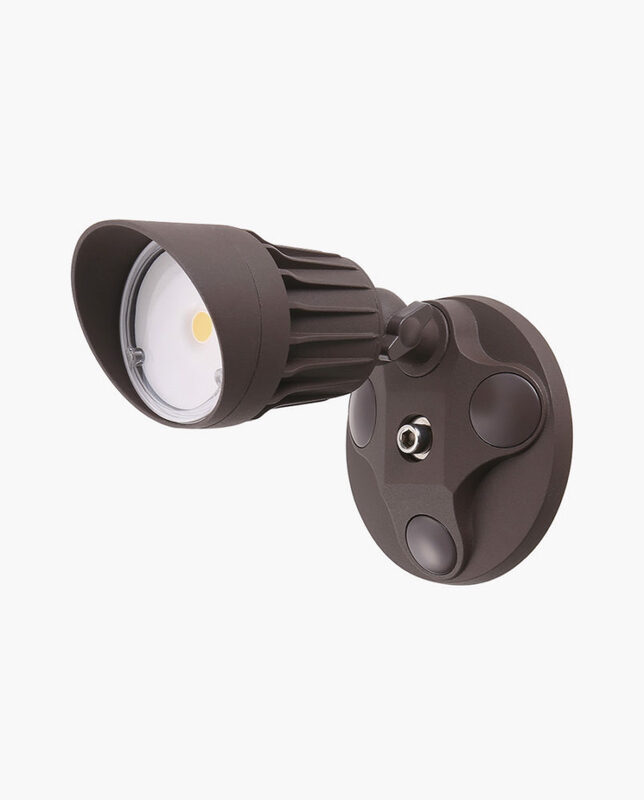 Pivoting arm on each light allows you to aim light where it’s needed. 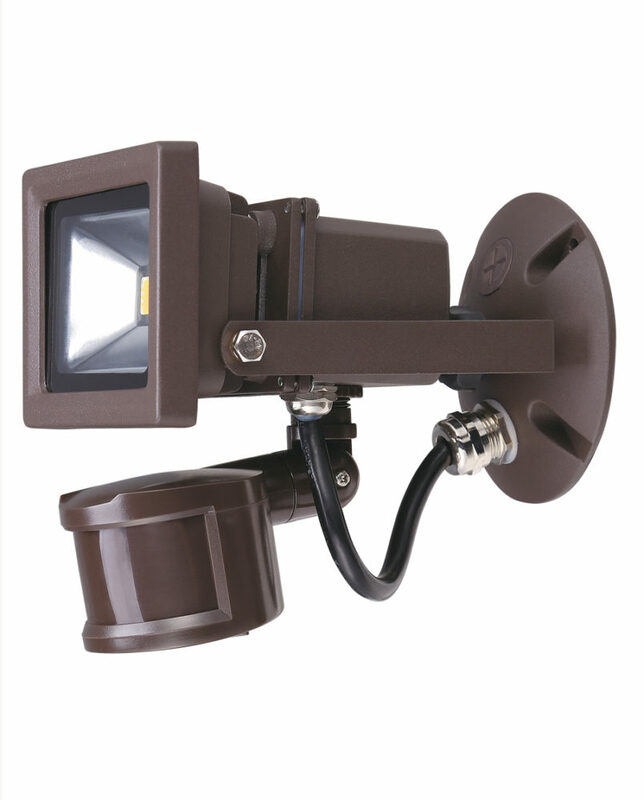 Durable aluminum housing available in bronze or white finish. 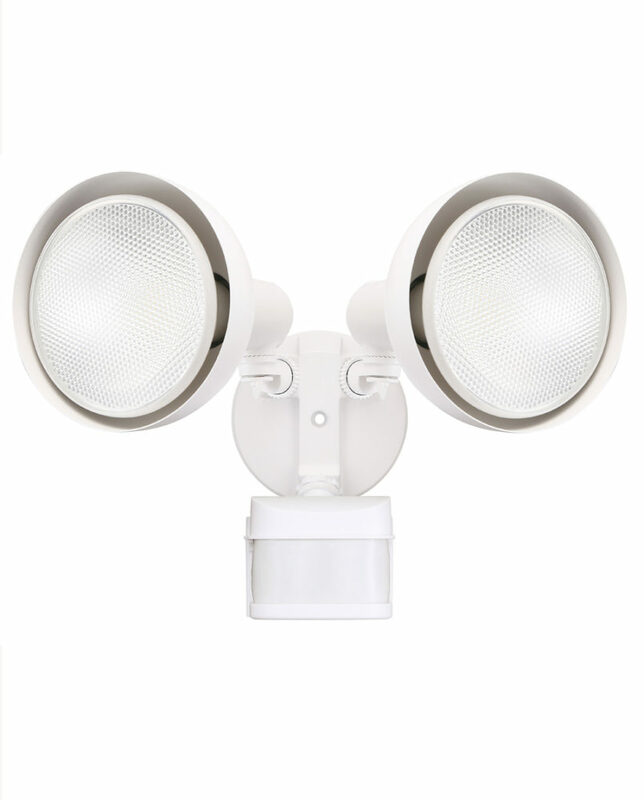 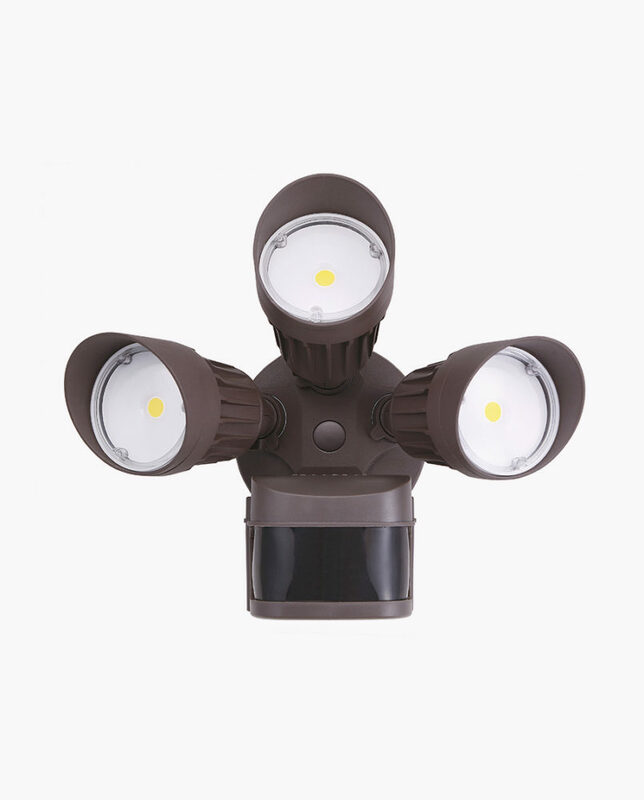 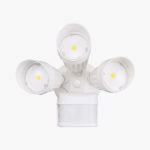 Eco-Star LED double-head security flood light; three integrated 10 watt LEDs (one in each lamp). 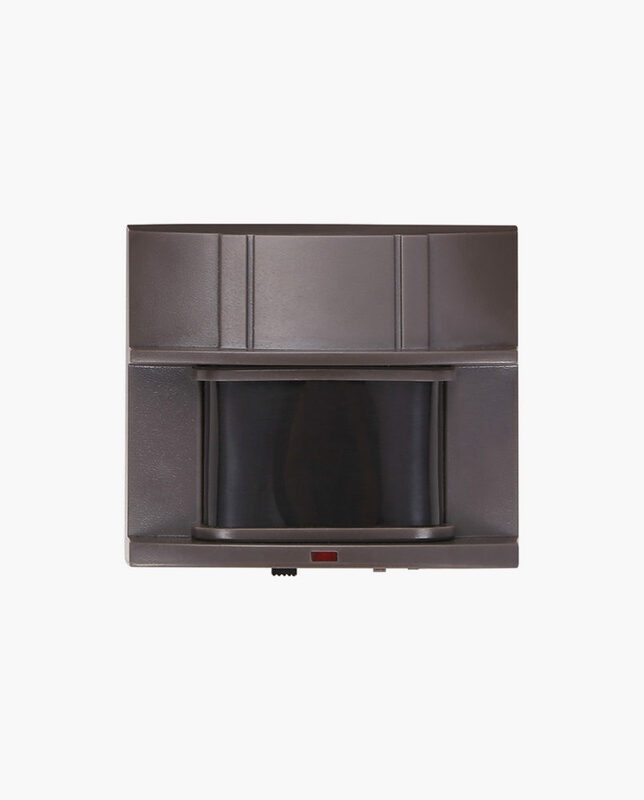 Built-in motion sensor detects movement up to 70 feet away. 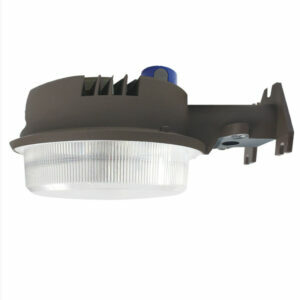 Integrated photocell for automatic dusk-to-dawn operation. 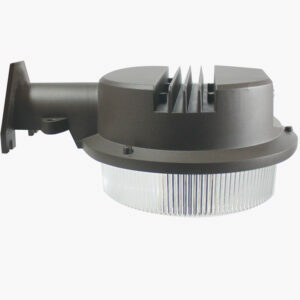 White finish aluminum housing, adjustable pivot arms. 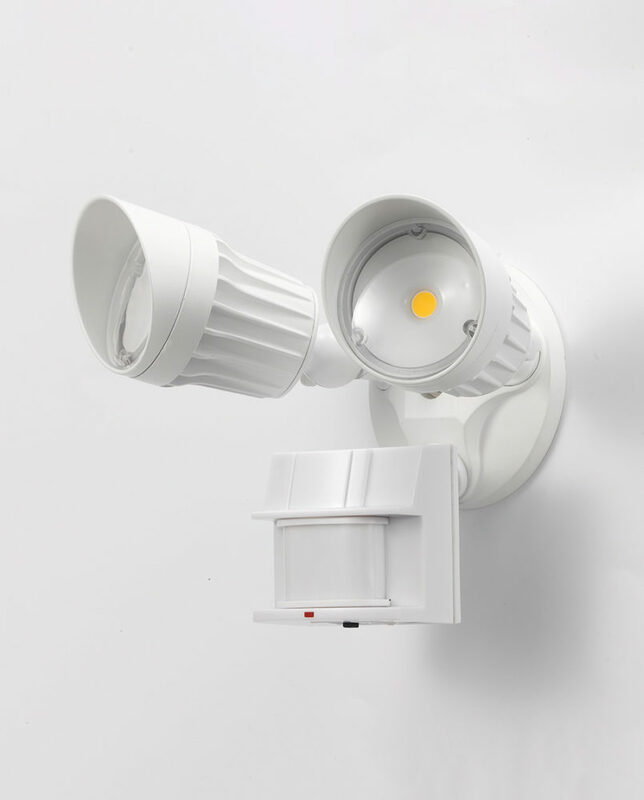 Manual override of motion sensor; adjustable run time. 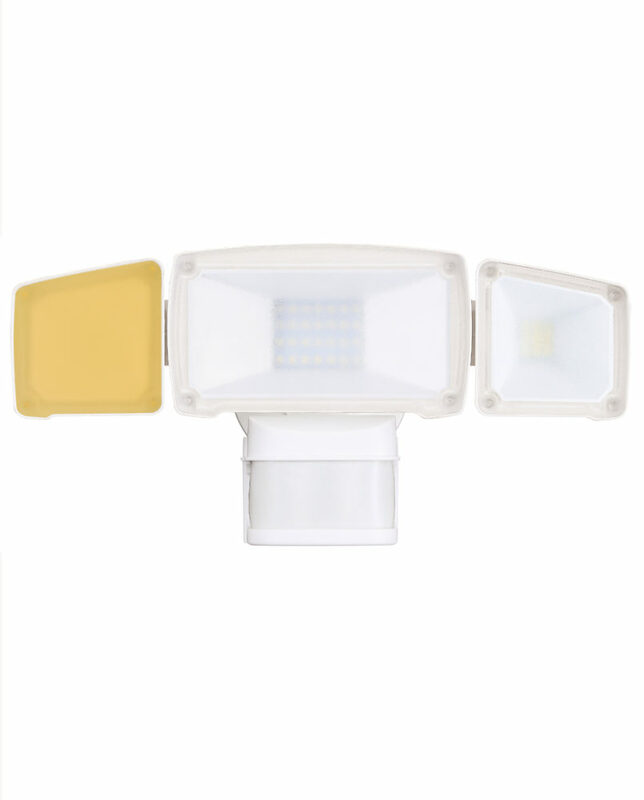 2460 lumen combined light output, comparable to a 120 watt incandescent bulb. 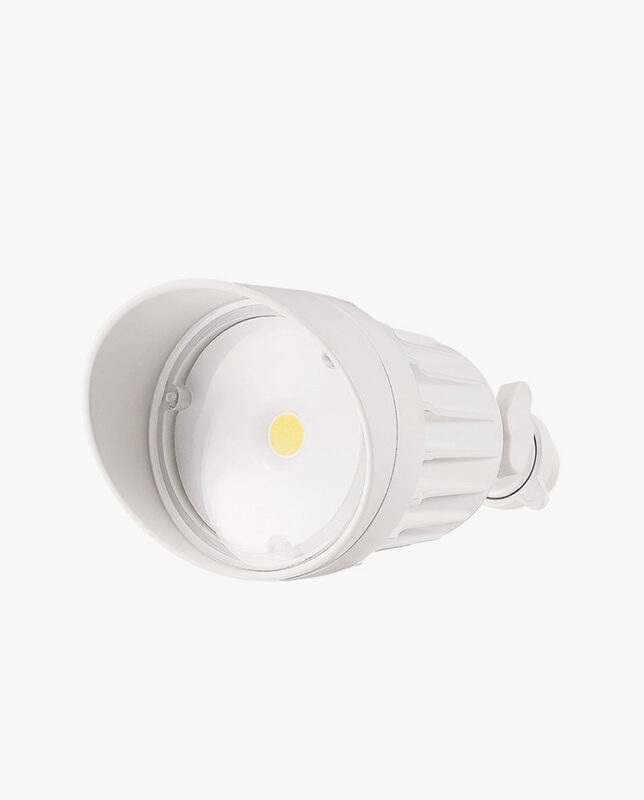 Average bulb life of 50,000 hours.